Life, Doctor Who & Combom: Doctor Who Seres 9 Part 1 DVD and Blu-ray Pre-Orders Open Now! 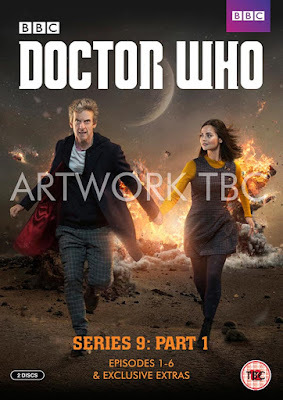 Doctor Who Seres 9 Part 1 DVD and Blu-ray Pre-Orders Open Now! Doctor Who Series 9 Part 1's DVD and Blu-ray release is now available for pre-order from BBC Shop for release on 2 November. It also includes three Doctor Who Extra mini-documentaries. BBC Shop's site also offers exclusive free artcards, although the designs will be revealed later. We are not sure if any other exclusives will be available as per the cover. The DVD is priced £16.99 and the Blu-ray is priced £19.99.